If you have a business or a website that depends on customers stopping by to read a blog or buy something and you aren’t using Pinterest, it’s time to start taking advantage of what it has to offer. 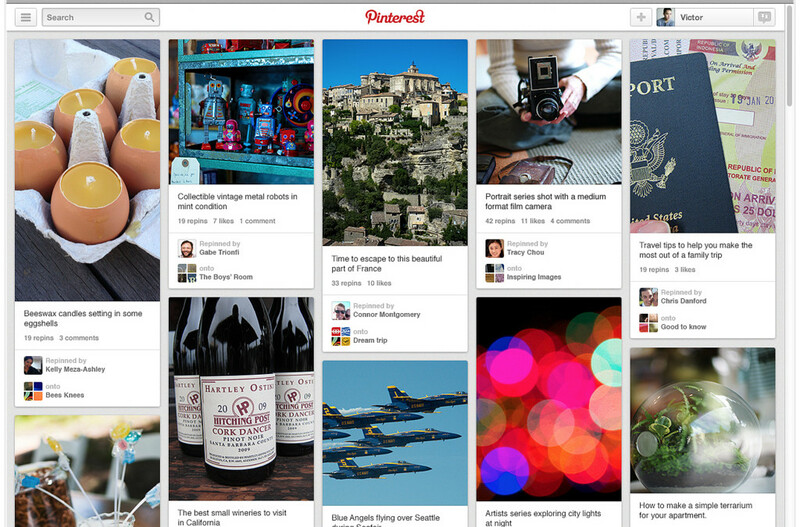 As of July 2013, Pinterest had a total of 70 million users. To compare, Facebook had 1.15 billion users. Pinterest’s numbers looks like chump change when you focus on them but when you remember that Facebook is for social interaction and Pinterest is for sharing products with an average of 2.5 billion pageviews per month, then you’ll realize that Pinterest means serious business for businesses. A major stronghold that Pinterest wields is that it is, “a tool for collecting and organizing the things you love.” It’s a place built on passion, inspires passion, and more often are the products of people. As a society that values organization and free time, Pinterest is an outlet that lets people organize things into any category they want with beautiful pictures everywhere. It takes away the clutter of words and replaces it with images that inspire. The internet at its roots is a large database for people to retrieve information. That information is used to educate oneself. Pinterest makes it easy to collect all the interesting information worth educating oneself about into one area with the focus on wishlists, trips, event organization, project organization, and collections. As a community, it’s a place for all interests, inspiring more interest. About 80% of all pins are repins, which means if your product gets pinned by one person, it will continually make its way through all the clutter and be seen again, recycled even, and recharge. Pinterest is a great way to work on branding and marketing that really helps you focus on the customer and what they’re really interested in. Part of using Pinterest successfully requires insight and understanding of your customer-base, which Pinterest provides tips on how to do. In addition, their web analytics for business pages let you know which pins and boards matter more. With your goals in mind, set up your business page on Pinterest and start building boards that pertain to the lifestyle of the customer and the brand. Here, you can give your brand a personality of things it’s interested in as well as values and taste. For example, Whole Foods has over 180,000 followers on Pinterest because it not only focuses on recipes and drinks, it has boards on gardening, reusing, internal strength, family, books, Austin (its HQ), etc. Now, that number might be daunting, especially when you’re first starting out but Whole Foods is a great look at Pinterest internet marketing done well. The images on your website go further on Pinterest and you can customize these images before uploading them with titles that capture attention. Similarly, like meta tags, board titles and captions need keywords and optimization too. There’s not much sense in putting up a nice image without any text that gives customers and users a clue as to what it links to. These often just get repined but forgotten about. Just like on Facebook or Twitter, pins gain more traction when businesses interact with other industry influencers by following, repining, and commenting. More and more users and businesses are using Pinterest as a customer service platform. 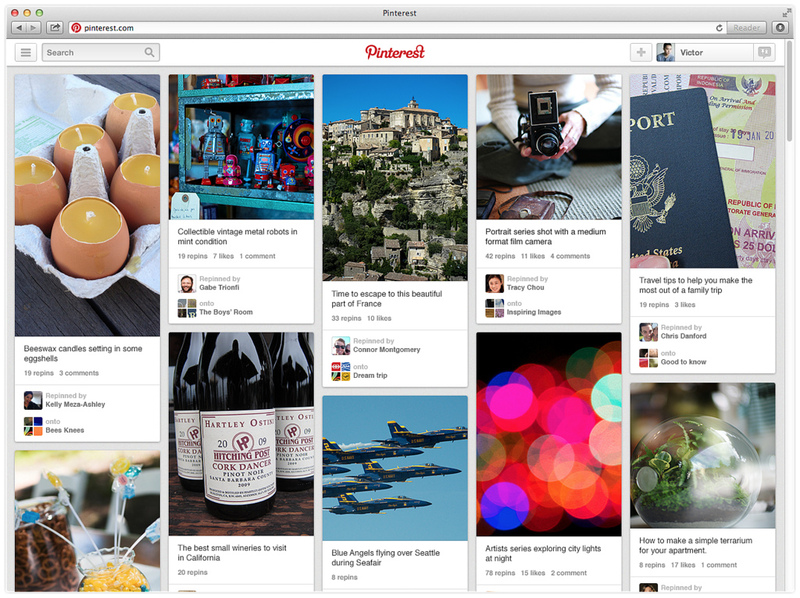 Another aspect of Pinterest marketing is the user experience, again, an important aspect of SEO. Anything that makes people’s lives easier makes them happy. As much as many people enjoy a pre-arranged outfit for them to pin, things that make it more engaging and informative inspires more interaction. Pinterest is where infographics thrive. Each box varies in size depending on the image, allowing people to look at it as a whole and enlarge. It’s an entertaining visual that seeks to educate viewers. Rich Pins can seem fancy but certainly add a lot of pertinent information geared towards common questions people have with these types of pins. Again, the less work people have to do to find information, the better. Simply rearranging boards according to the seasons also is effective and makes your board appear fresher. The overall goal of Pinterest and other social media platforms is of course, to guide users to the website. Lucky for you, Pinterest is the place people go who are LOOKING to buy and be inspired. It allows you to cast a wider net and draw people in. On your website, it helps to have “Pin It” buttons on your images, making it easy for people to pin to their boards, share with friends and the world, and in turn, friends and the world can easily come to you. If you need help building up your Pinterest marketing strategy or SEO internet marketing, contact us today for a FREE SEO Consultation.